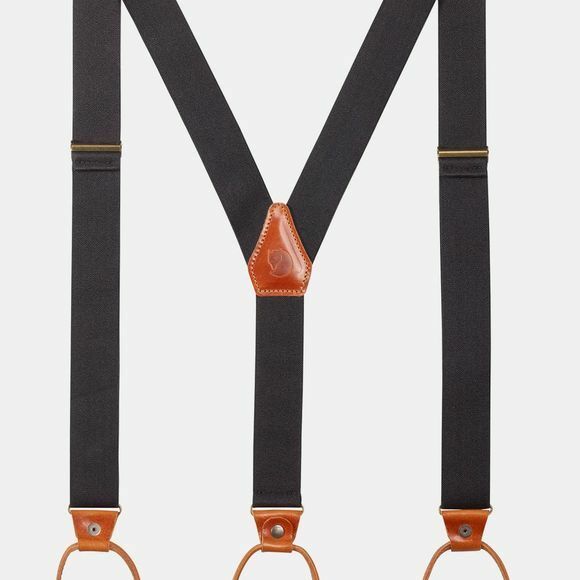 Adjustable suspenders made from robust elastic webbing with details in vegetable-tanned leather. Follow body movements in a comfortable manner. Embossed logo on the leather detail at the back. Attach to trousers with metal clips. Made in Sweden.